Reduced risk for cardiovascular disease. Training techniques stem from ancient traditional methods such as yoga or tai chi, as well as modern research methods. All three methods have been used as a foundation in the creation of pilates All techniques have been designed and practiced to better health of the body, mind, and spirit. Pilates uses breathing in a number of ways to generate benefits. Three key techniques are lateral breathing, set breath patterns, and active breathing. Lateral, or intercostal breathing is the when the practitioner expands (laterally) the rib cage while the abdominal muscles are engaged during both inhalation and exhalation. This is different from “standard breathing” which concentrated on the diaphragm lowering during inhalation (often called diaphragmatic breathing), with the abdominal muscles relaxed so they are allowed to rise and fall with the breath. Lateral breathing is employed in Pilates so that the abdominals can remain engaged and therefore create a corset or “core” for the body. This core stabilizes the body as well as protects the body from potential injury or misalignment. Lateral breathing is the preferred mode for Pilates but does not suggest that diaphragmatic breathing is a negative breathing technique. Many Pilates exercises have set breathing patterns. An inhalation can occurs on a contraction or extension, depending on the exercise. 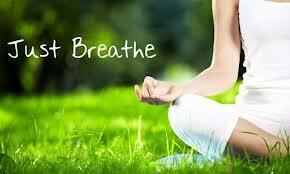 The simplest way to describe the breathing pattern is that we associate breathing with certain movements. One reason to pattern breathing is to stop people from holding their breath, especially when the exercise requires a lot of force. When we hold ones breath the muscles become tence and blood pressure increases. As a rule it is fair to suggest exhaling during the movement that requires greater exertion to help relax and stops us from holding the breath. Selecting certain breath patterns can also have an effect on the muscle or muscle groups that are being employed. For example, an exhalation can active the deep abdominal transverses abdominals, this muscle sits under 2 other abdominal muscles and connects the front of the abdominal wall with the back. A vital muscle to work which can be worked more intensively using an exhale in certain exercises. Lastly, a selected breath pattern can help establish the rhythm, of a given Pilates exercise and therefore a Pilates class, weather the class be for women who are pregnant or healthy practitioners. Every exercise in Pilates has an objective and can be practiced with their own style weather that be smoothly or forcefully. At SimplyBePIlates we aim to offer all styles in our Pilates studio and use different breathing techniques according to the type of Pilates class. There are specific exercises where the breathing is active and prescribed to get the full effect of the exercise, for example the hundred where the breath is pushed out forcefully during exhalation combined with the progressive contraction of the abdominals also on the exhale. On the inhale, the breath is drawn in steady with the focus on expending the external intercostal (muscles between the rib cage) and abdominal contraction. Use of active breathing should be varied between each individual – for example someone who has a lot of stress and tension should breath gentle, someone who is naturally relaxed a little harder to inject some more energy into the exercise. Ron Fletcher, a student of Joseph and Clara Pilates and a well-respected Pilates instructor in his own right developed a breathing technique called Percussive Breathing. He said “The breath shapes the movement and defines its dynamic.” Percussive is finding the rhythm rather than the power behind the breath (weather it is forceful or gentle). The idea being that each exercise has its own rhythm. An example given is air escaping from a hole in a balloon, it is not forceful not gentle – it has its own rhythm.